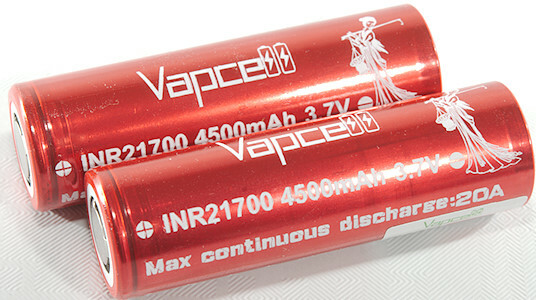 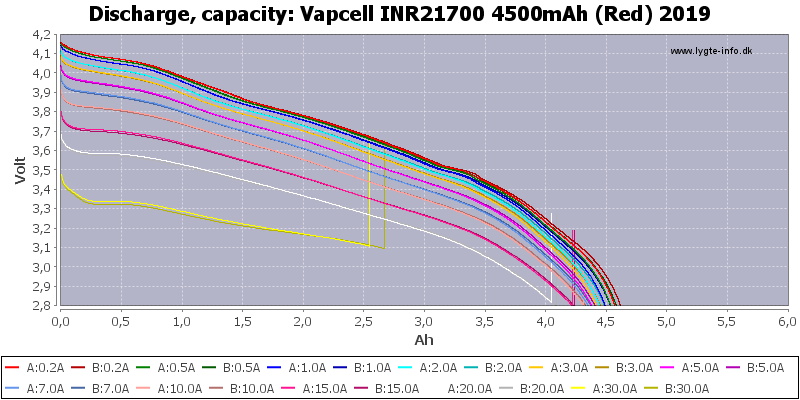 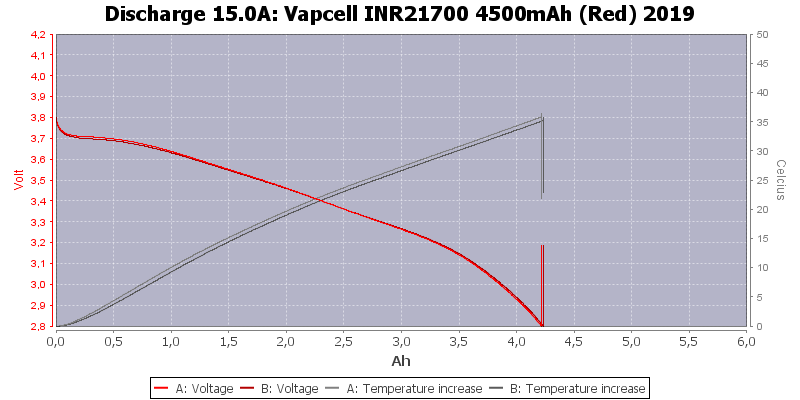 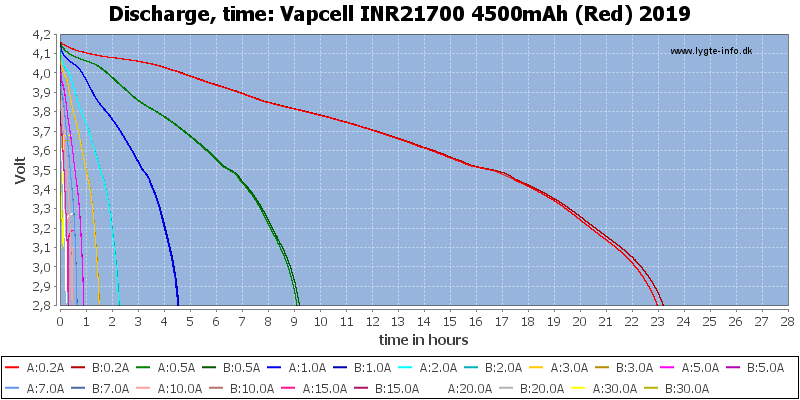 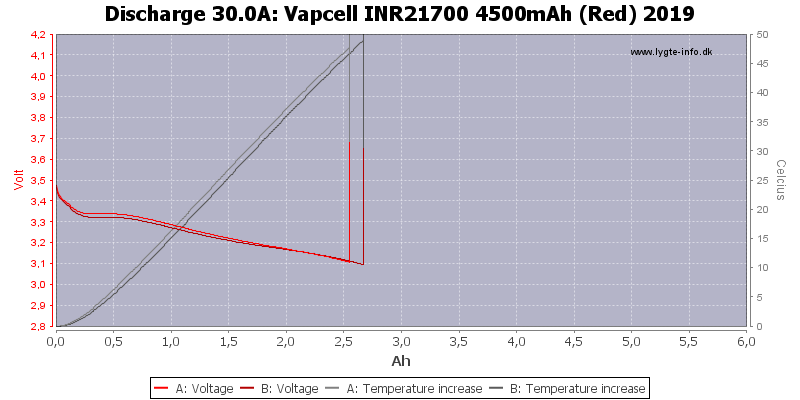 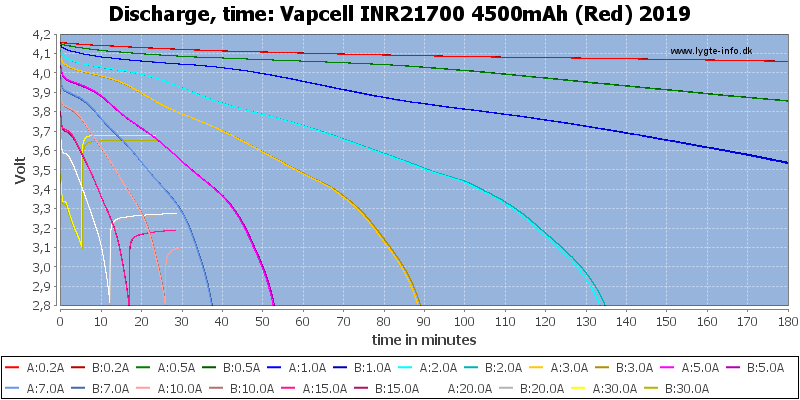 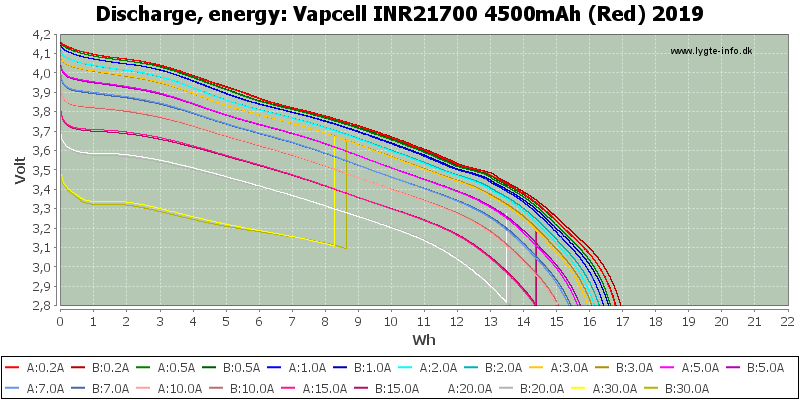 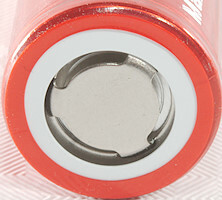 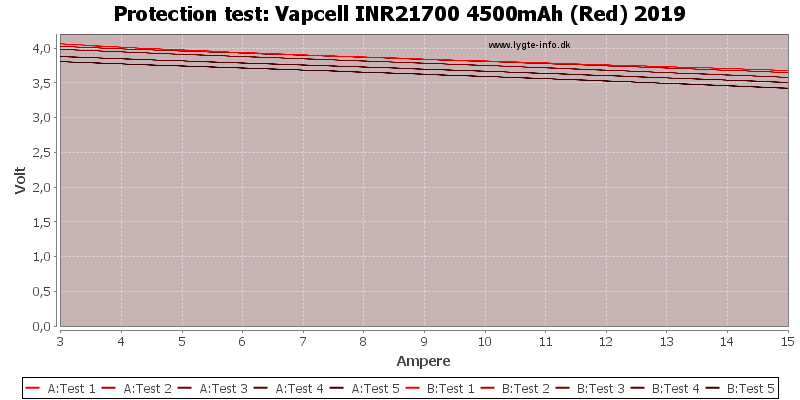 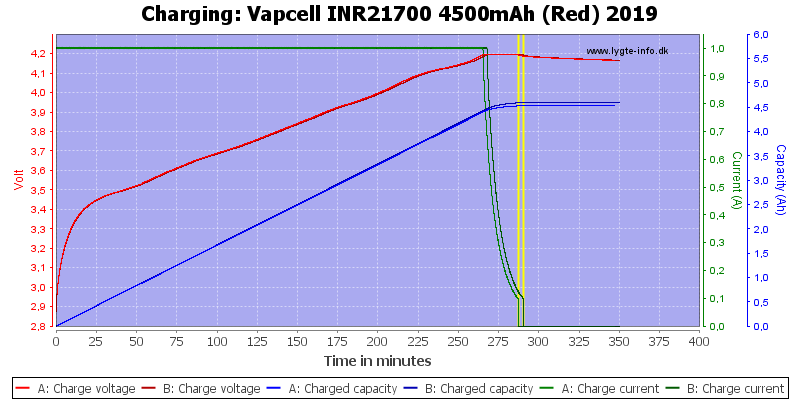 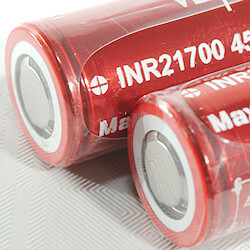 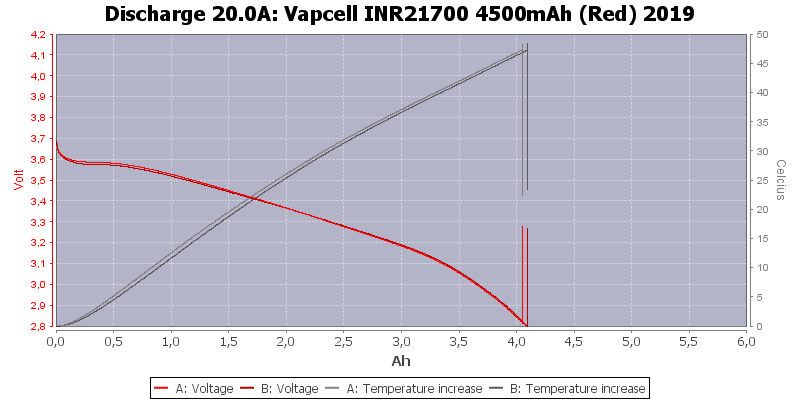 This is a high current battery in 21700 size with good capacity. 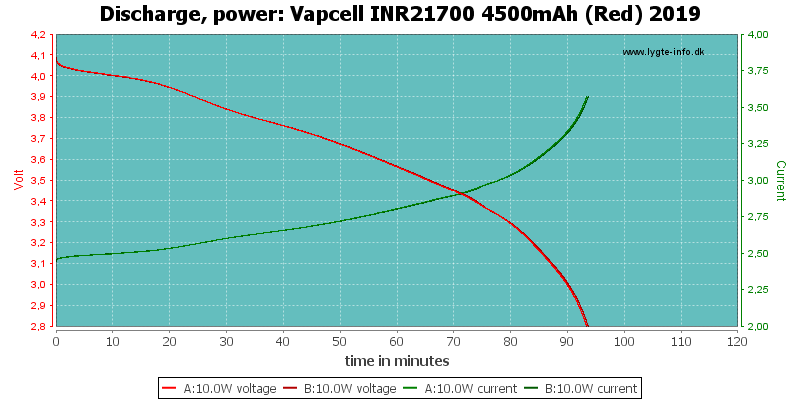 The two tracks matches fairly well and capacity only goes down slowly with load. 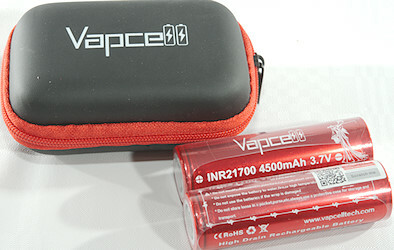 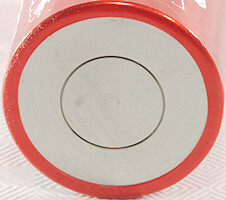 This looks like a good battery, it can handle a fairly high current and has good capacity.